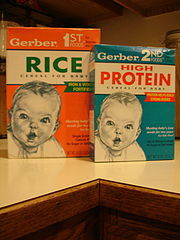 Do you have a Gerber Baby? Does everyone who sees your baby say that your baby should model? The 2014 / 2015 Gerber baby modeling contest and photo search is on now! Gerber is running a baby photo contest and winners may get up to $50,000.00 and a starring role in a national Gerber TV commercial. The contest is open right now and you can upload your baby’s picture for consideration. The baby model search is open to babies ages newborn to 3 years old with separate categories for each age group. 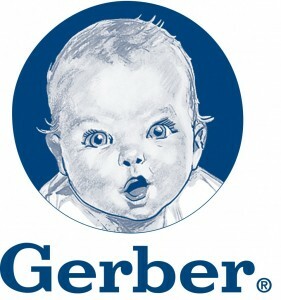 The Gerber baby is one of the most recognized images in the world – In 1928 Gerber held a contest to find a face to represent a baby food ad campaign. Artist Dorothy Hope Smith entered her simple charcoal sketch of a tousled-hair, bright-eyed cherub of a baby with endearing pursed lips. The original contest was used for a promotion for a new product the company was launching. In 1928, the “Gerber Baby” sketch was introduced in an advertisement for the new product in the Good Housekeeping magazine. The world recognized sketch by Smith became the Fremont Canning Company’s official trademark in 1931. Fremont Canning later became the Gerber brand after a name change in 1941. Even though the Smith sketch is still the companies logo, and has been for over 80 years, Gerber runs different ad campaigns nationally and holds still holds contests to find the perfect baby for their new ads. So, do you think you have a Gerber Baby? The contest is open for submissions now and parents have until the end of the month to upload photos of their child. Once all photos have been added, the contest will close to new baby pictures and voting will begin. Voting will go on through the end of the year. In January of 2014 a baby will be selected for the grand prize, casting in the TV commercial. There will also be prizes awarded to runner ups which include a gift card to Apple iTunes. At the end of the entry period, a panel of judges will set out to find photos of children from birth to preschool age that demonstrate visual appeal, expressiveness and consistency with Gerber’s heritage. The child’s photo that best meets these criteria will be selected as the Grand Prize winner and the winning parent will receive a $50,000 cash prize (plus $15,000, which can be used for taxes associated with award acceptance) and their child will have an opportunity to appear in a future Gerber advertisement. The baby photo contest includes milestone categories which are newborn, supported sitter, sitter, crawler, toddler, and toddler 2+. For each category there will be a winner which will get an iTunes prize. See the official contest and get your baby entered! The contest is open to U.S. citizens and parents who enter their babies must be at least 18 years old and U.S. citizens. The company does this baby model search annually, usually at the end of the year with winners announced at the beginning of the new year. Enter your baby today! 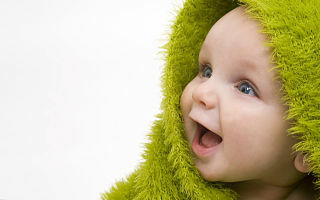 You never know, that one snapshot of your child may be worth $50,000.00 and make your baby the next Gerber baby of 2014. Good morning my name is Yvonne Wynn and I’m a mother of four children that your company can use. We are seeking modeling, commercial acting, modeling clothes. Please feel free to look me up on Facebook and check out my children’s pictures. I don’t see how to enroll in the contest or I don’t see how to download my babies pictures. Can any one tell me how? We are interested in all modeling jobs, acting, commercials. I would like to know how to send a picture in, my daughter is always smiling and people are always saying she is so cute. How do I enter my daughter into the contest? I wanted to sign my daughter up, she is 10 months and freaking adorable, so happy, everyone tells me everyday I need to put her into gerber baby modeling. Its a must I think, so to please contact me back, thanks! My son is now 7 months old and I’m interested in the Gerber auditions, for further more information contact me. My son is 8 months old, very happy and always laughing. His personality is out of this world. He’s so funny and so dag on cute. My grandson is the next gerber baby. He is very handsome and he is mixed, black / white… you know they make cute babies. He has a beauty mark on his left cheek. How do I enter my son in the modeling contest? Hi, I have a brand new baby born july 1st. Everyone comments on his looks, how can I enter the contest? Wanted to know how I could enter my baby in the contest. He is 3 months and people always say that he is very cute. How do I enter into the contest? Hi, My baby is 7 month old. He is so cute, many people liked him and called him “happy baby”, Please if you’re interested let me know, Thank you. Every where I go my son get compliments on how cute and handsome he is. How blessed I am to have such a beautiful child. My baby is 7 month old. He is so cute, many people liked him and called him “happy baby” Please let me know if you’re interested, thank you. My nephew was just born last week. I would like him to be a part of the Gerber family. I would like to put my son in the contest, he is 7 months old. Hello, I have 2 handsome adorable boys. My oldest son is 4 who has such a cute smile with his dimples and wonderful outgoing personality. My youngest son is 8 months old and has the cutest baby smile look and personality ever. I keep being told that he is the cutest baby ever and should be a Gerber baby and do some modeling. I would love for everyone to be able to see how cute my boys really are! Would be a dream come true! My son is 10 months old. I’ve been told by literally everyone who walks by that he looks just like the Gerber baby. He has blue eyes with long eye lashes, light brown hair. When the sun hits it, it looks golden brown, & has the most adorable chubby cheeks. I’ve been wanting to get my gorgeous lil baby girl’s picture out there because I think she’d be perfect for the little baby diaper commercials and other Gerber relate items. She’s got beautiful blonde hair and striking blue eyes. She’s just the cutest baby I’ve seen and is very responsive to her name. She smiles and is always happy and in a great mood. Plus, she’s extremely photogenic. I’ve been wanting to get my gorgeous lil baby girl’s picture out there because I think she’d be perfect for the little baby diaper commercials and other Gerber related items. She’s got beautiful blonde hair and striking blue eyes. She’s just the cutest baby I’ve seen and is very responsive to her name and smiles. My baby girl is always happy and in a great mood. I have 2 children, a one year old girl. She is really cute And tiny. And a 2 year old boy who is active and silly handsome. I have a beautiful 4 month old baby girl. Her name is Sophia Marie. She has olive skin, black hair, bright blue eyes, She loves her snack time with her gerber baby biscuits and apple sauce. She loves the camera and new people smile at her all the time. My beautiful baby boy is about seven months old. Everyone swears he’s a Gerber baby, please message me if interested. Our pair of 4 month old fraternal twin girls, Victoria and Veronica, are absolutely adorable and always smiling. Always great in front of the camera. They are Asian. Hi, we have a 4 month old and would like to know how we go about entering him in the Gerber auditions. Please forward any information needed. Please advise how to send photo…can’t wait! My sons name is christian and he is 8 months old, blonde hair and blue eyes, he is the size of a one year old, beautiful.